Years ago I was camping with a friend along the dissected edge of the Appalachian Plateau. That week we were experiencing some of the coldest weather in history for this part of the country. It was the second week of Jan. 1984 and the temp had dropped to -27°F (-33°C). On old guy that lived near our camp site smelled the smoke from our fire, and was amazed that anyone would be out in that kind of weather. So, he came along to investigate. After setting around the fire and chit chatting for a while, he was impressed that we were cold weather enthusiasts and not just a bunch of silly kids out playing in the woods. He then took us on a tour of his land and showed us some of the sites that he thought were interesting. One of those sites was along the base of a large cliff. 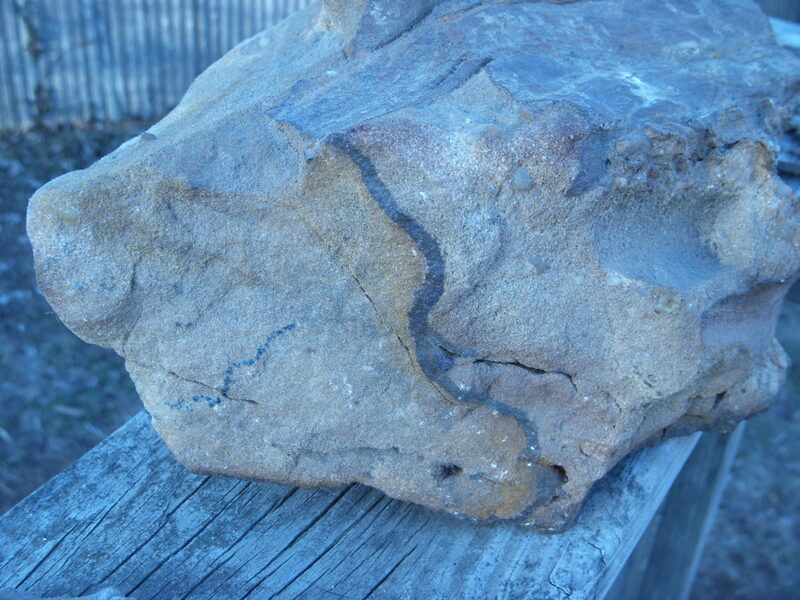 In it, there was a fossil log of a lycopsid that was about 3 or 4 meters in length. 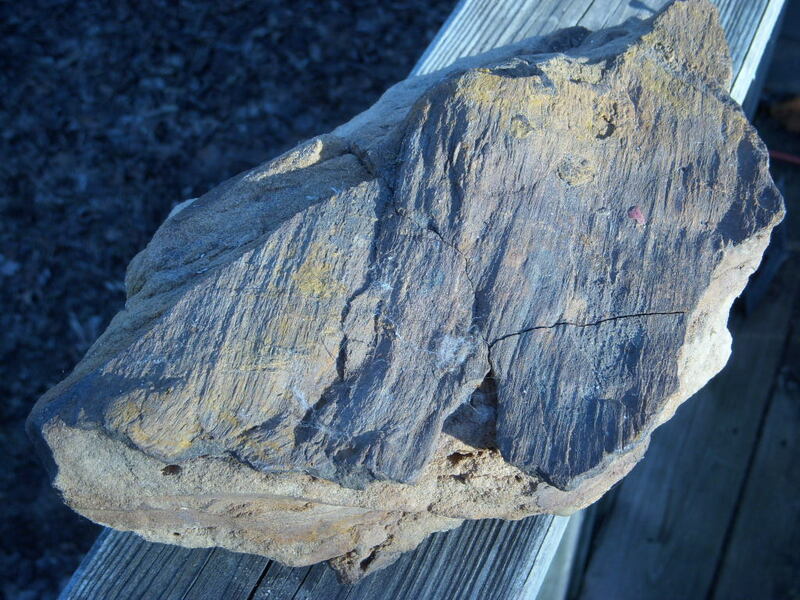 One end of the log was nearly dislodged from the rest, so I ask if I could have the fossil. 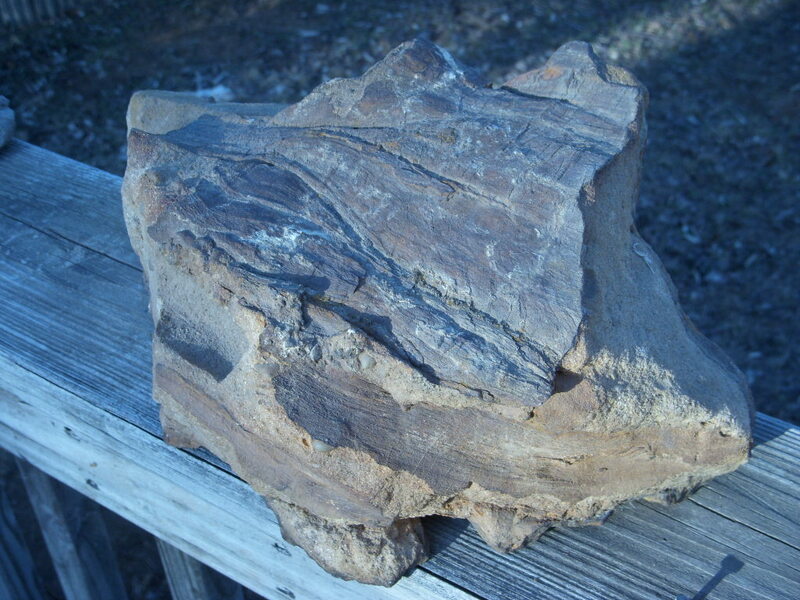 He knew of my enthusiasm for fossils from our earlier discussions, so he let me pry the small chunk from the rest of the log. The base of the cliffs in the area are Mississippian limestones(Newman Fm.) capped by the sandstones and conglomerates of the Pennsylvanian Breathitt Fm. There is a nice disconformity between the two units; in some places with a few meters of relief within a relatively short distance. I was already packing heavy due to the weather, and we were a couple of km back into the woods, but I wasn’t going to let nature reclaim this thing. 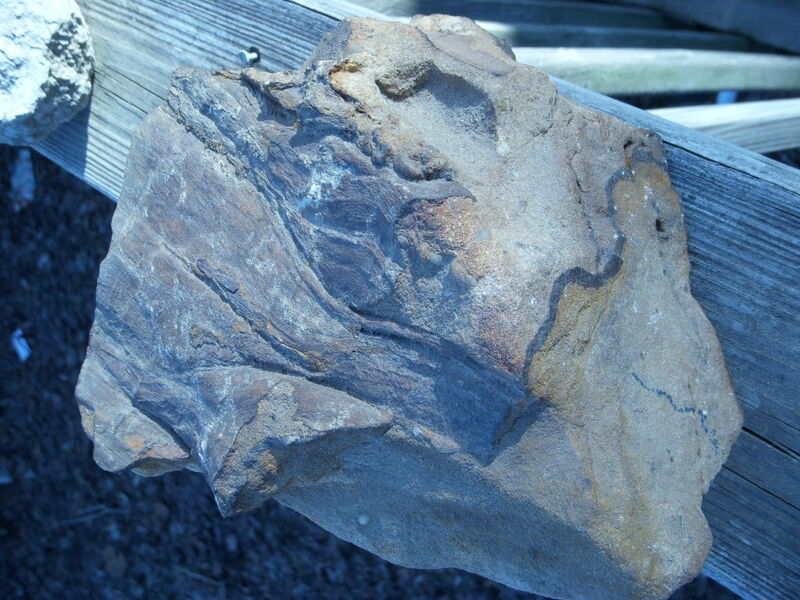 For scale, the board under the fossil is about 14 cm wide. Liesegang band along the edge. Different view of the one above.